When the National Theatre announced their Summer 2017 season, apart from the iconic revival of Follies starring Imelda Staunton and Janie Dee, I was most excited about the new Lucy Kirkwood play Mosquitoes. I've been a fan of Lucy's work for a long time now ever since her hit play Chimerica and she's one of my favourites, so I was glad to see that Mosquitoes did not disappoint. It seems as though I'm not alone in my love for Lucy Kirkwood as the show sold out almost immediately on the day of ticket sales' release. Luckily, I managed to get myself in there rather early into the run and see what all of the fuss was about for myself. Kirkwood has a real interest in science as some of her previous plays go to show (I recently saw her play The Children at the Royal Court as well, which focused on nuclear power plants) and this play is no exception to the rule. In this story, Olivia Colman and Olivia Williams play a pair of sisters who have a slowly crumbling relationship. Williams's character Alice is a scientist and lives in Geneva with her troubled teenage son Luke. In Geneva, Williams is the chief of an operation on the Large Hadron Collider and is fast approaching the most exciting time in her career. Elsewhere in the world, Alice's sister Jenny (Olivia Colman) lives in Luton and works in a local garden centre, something that Alice sees as being a waste of life. But suddenly, tragedy strikes for Jenny and she finds herself flying to Geneva to stay with her beloved sister, but quickly realises that people don't take to her very kindly. The rest of the play follows Jenny's high-flying career and the struggles that the two sisters face, all while painting a picture of how class and intelligence don't necessarily make a person any better than someone else. It was a story that I found touching and compelling, one that didn't have any majorly dramatic twists, but had emotional u-turns that made the characters feel incredibly complex. It's a brilliant story and Kirkwood has struck gold once again. The cast of this play are fantastic as well. Olivia Colman is one of Britain's finest actresses and I'm obsessed with her, so I was naturally bowled over with her performance, but Mosquitoes demonstrates that she is so beloved for good reason. 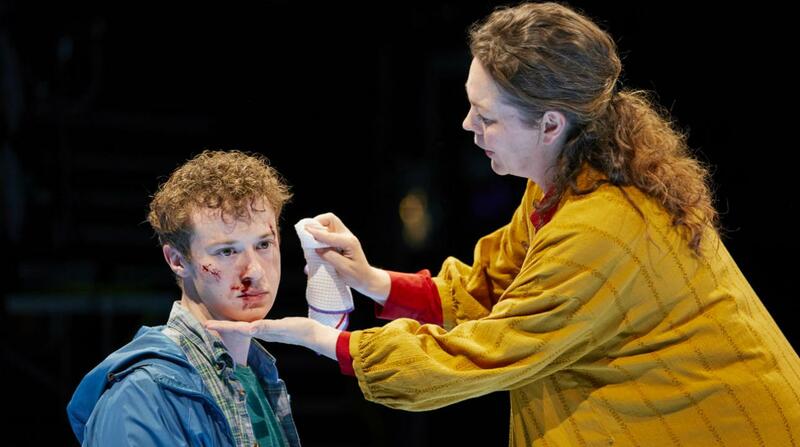 She has this ability to be all-consumed by the character in a way that is so powerful and affecting that you completely forget that Olivia Colman is there on stage; in my mind, it was just 'Alice'. Olivia Williams gives a similarly powerful performance and the chemistry between the two women is fantastic. 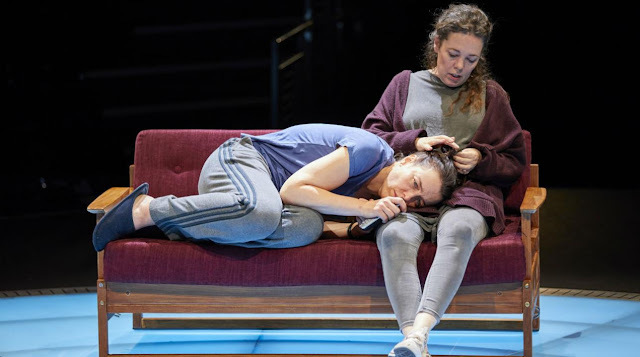 Williams also gives a brilliant performance of a woman who is very slowly and privately breaking down and when you compare her character at the end of the play to the Alice we met at the very beginning, you see how calculated and well-thought-out Williams's performance is. Other favourite performances of mine include Joseph Quinn as Alice's son Luke who gave a very convincing portrayal of a lost and lonely teenager, as well as the hilarious Amanda Boxer as the girls's mother Karen, who was laugh-out-loud funny throughout. The design of this show is equally brilliant, as is expected when a show is staged in as versatile of a theatre as the Dorfman. The play is performed in the round and Katrina Lindsay's stage design makes that completely appropriate for the piece. I've seen many shows in the round before and a lot of the time, you are very well aware that the actors are trying their best to perform to all sides of the audience and it makes you wonder "why bother? ", but Rufus Norris's direction makes you forget how you're seeing the play and you're fully immersed as a result. Norris and Lindsay also work well together in staging a piece that uses almost no set whatsoever, which is completely unnoticeable when watching the play and something that only comes to mind after leaving the theatre. Kudos to Paule Constable for the incredibly complex lighting design as well - amazing work as per usual - and to Paul Arditti for his stunning sound design - also amazing as per usual. 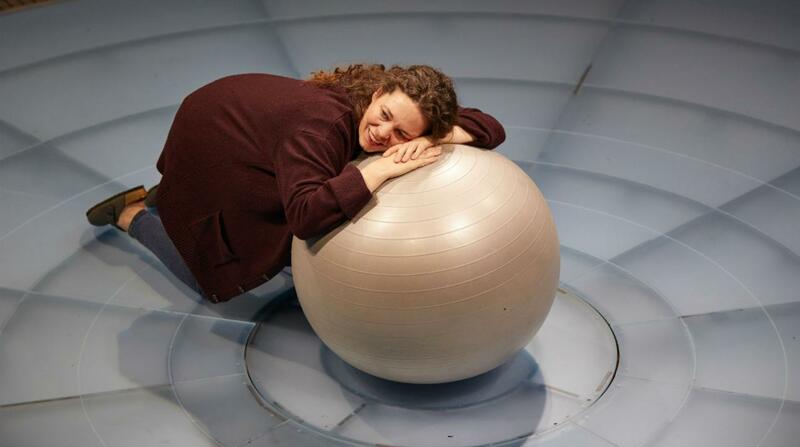 This play has the National Theatre's strongest artists working on it and it certainly shows. 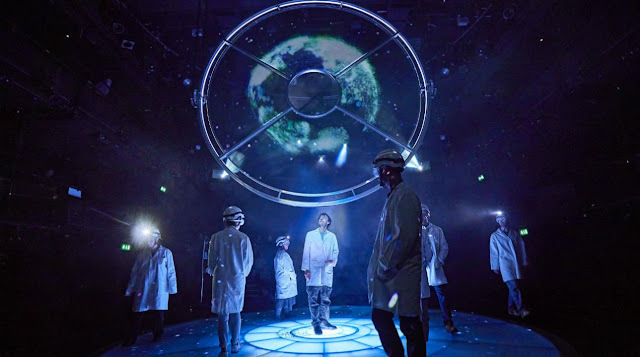 If you're interested in seeing a play that explores a matter of complex relationships and is set against the backdrop of a unique moment in scientific history then this is the play for you. It's not an easy one to watch and it certainly requires a lot of focus and brain power to really understand every element of the piece - as is the case in a lot of Kirkwood's plays - but it's delightful if you do take the time to open up and accept what it has to offer. And the cast is bloody brilliant, too. Mosquitoes continues at the National Theatre, Dorfman through September 28th. The show is almost entirely sold out, but return tickets can be found here.